I thought the results were interesting. That’s all. From the Virginia Board of Elections. Good turnout, too, if my math is right. (check it, please – total voter registrations by locality; votes by precinct). Thanks. 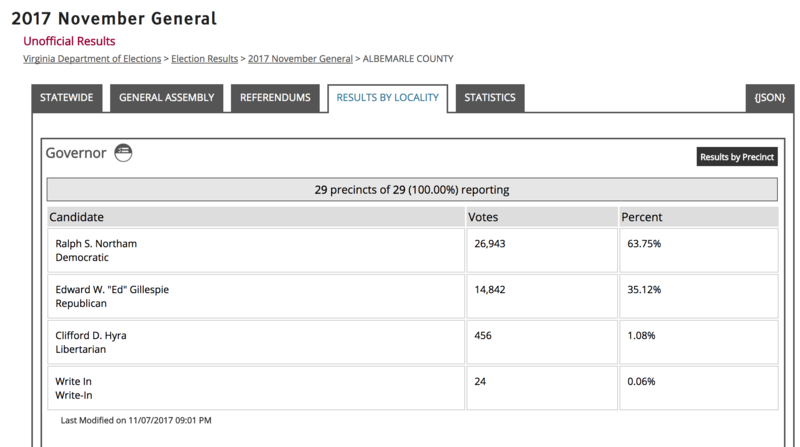 Crozet – 2,304 voted; 3,937 active, registered voters – 58.5%. Brownsville – 2,688 voted; 4,617 active, registered voters – 58.2%. Next PostNext Regatta on Saturday at Beaver Creek!